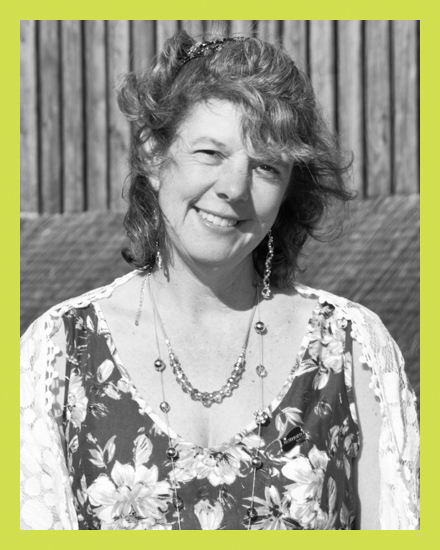 Sue lives with her family (and 3 chickens) in Exmouth and loves to cook! Sue was one of the finalists in the Devon Life Home Cook of the Year competition which took place at the end of last year and came 3rd overall, being known as the most enthusiastic home cook in the county! Sue rustled up her famous roulade at last year's Budleigh Food & Drink Festival and has helped out at cooking demos at Bradbury Kitchens in Exeter since taking part in the competition and is going to show us how to make something chocolately and some Simnel Cakelets as Easter is just around the corner. Robin Rea Rusty Pig was started in 2011 by Robin Rea. 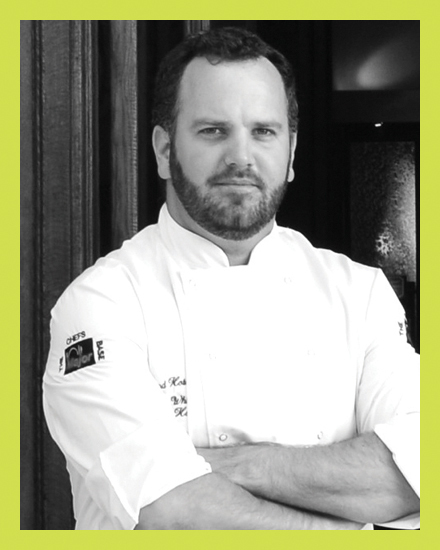 Robin has always been passionate about food, and combined this with a love of travel to begin his career as a chef in Melbourne, Australia. 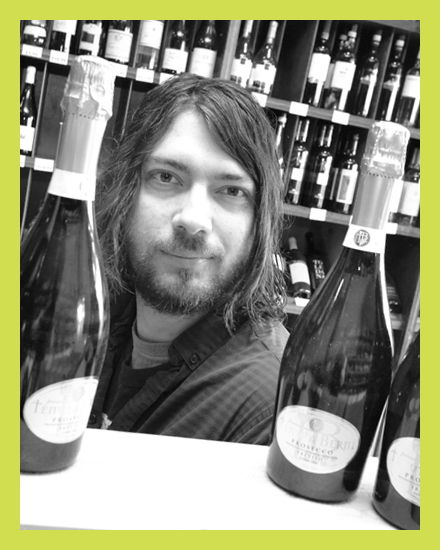 Since then, Robin has honed his culinary skills in Italy, and, more locally, worked with Michael Caines, and as a senior chef for Hugh Fearnley-Whittingstall’s River Cottage. 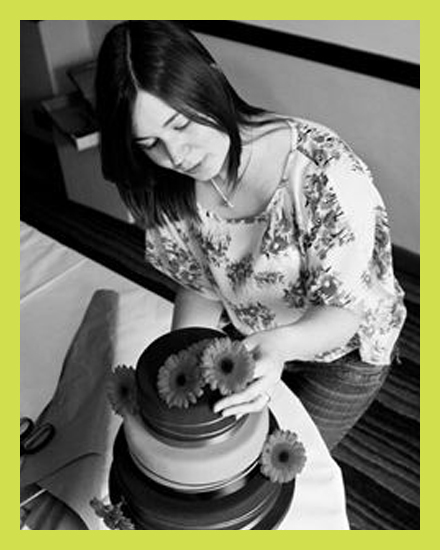 On the day Charlotte will be demonstrating how to prepare a cake, level, fill, crumb coat then ice to a professional standard. Crimp, emboss and trim as well as how to make elegant flowers including hand made roses and calla lilies and how to use various cutters and other decorative techniques. As a cook who is more used to dancing in the kitchen with a glass of beer and the radio on, Jonathan is not exactly a trained professional. However, there is nothing he enjoys more than cooking for his family and on his day off can either be found in the garden growing his own vegetables or in the kitchen thinking of another way to smuggle courgettes into a family meal without them noticing. He has received no awards other than the praise of his family. If you enjoy simple cooking without fuss you might just enjoy Jonathan’s demonstration. 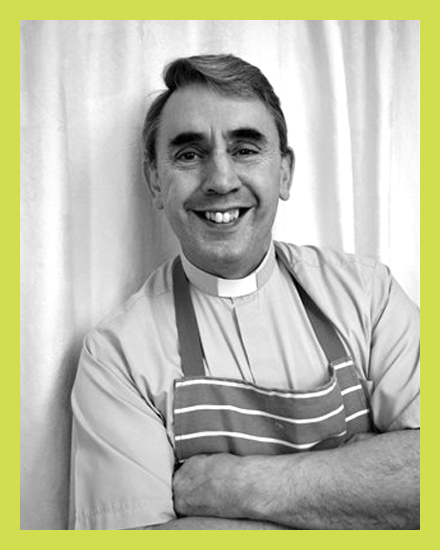 When not cooking or gardening Jonathan is the Minister of Budleigh Salterton Methodist Church. 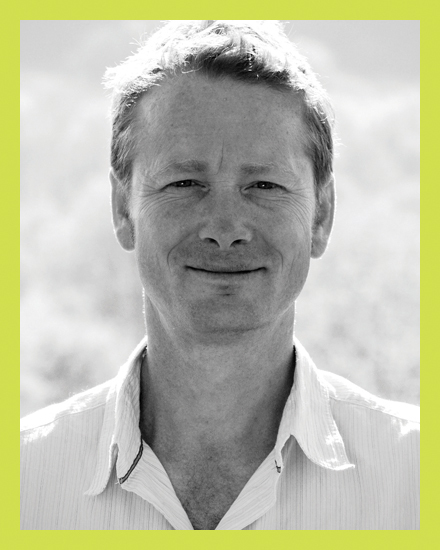 Robin Harford harvests wild edible plants daily. 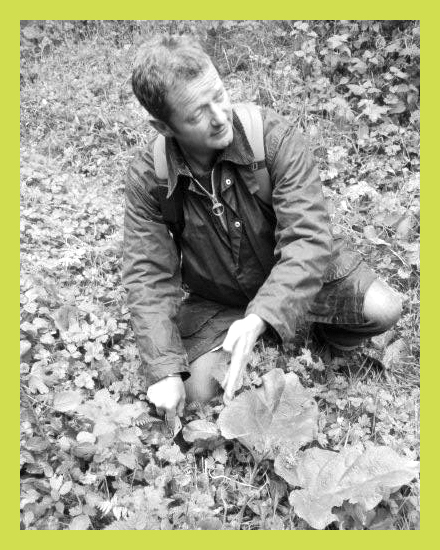 His gourmet wild food foraging courses have been recommended in the BBC Good Food Magazine, Guardian, Ecologist, Green Parent, GQ etc. 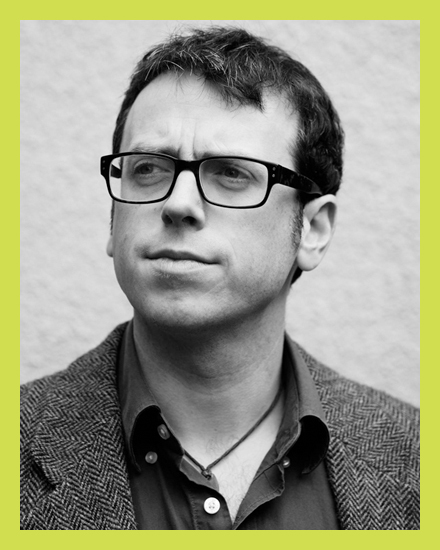 He has taught at Eden Project, been featured on BBC2′s Edwardian Farm and consults with TV companies and celebrity chefs. After leaving Exeter College in 2001 Stuart has worked in several Hotels and Restaurants in the South West before moving to Cardiff for the reopening and re-branding of the Thistle Hotels. He then moved back to Devon with an initial 3 month Stage at John Burton Race’s, Michelin Star Restaurant, The New Angel in Dartmouth before joining the Victoria Hotel, part of the Brend Group, in Sidmouth in 2009. In 2010 Stuart was offered the opportunity to complete a month Stage at Heston Blumenthal’s 3 Michelin Star, The Fat Duck. From where he returned to the Victoria Hotel as Sous Chef, before being promoted to Head Chef in 2011. We are true artisans and very proud of what we do. 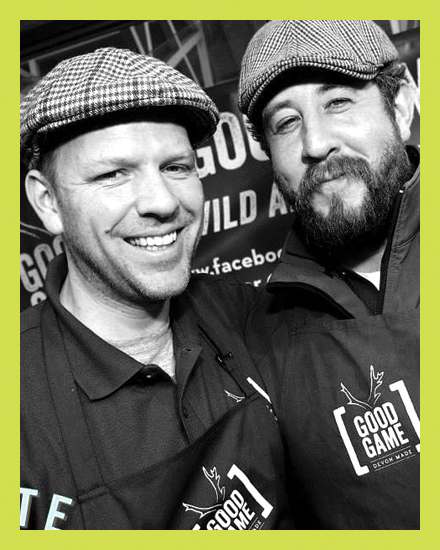 Our mission is to make the best tasting game and cured meat in the world. Everything we do is by hand, like true artisans. We cure using only salt and natural Exe estuary air. We use no Nitrates, saltpeter or curing agents. We don’t even use drying chambers – we do it the traditional way. Good Game supports local producers. We source our pork mostly from Kenniford Farms or small producers or rare breed pigs like Oxford Sandy and Blacks or Devon Blacks. Andy Witheridge started out on the Michelin circuit after qualifying at Bournemouth Catering College many moons ago!! 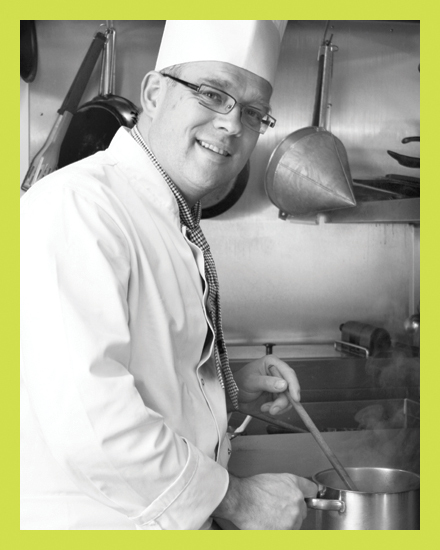 After years in the trade he set up on his own, providing outside catering services and consultancy work. Then after franchising a couple of local businesses he bought The Salty Monk with his wife in September 1999. Taking the business from derelict to divine became their passion, following it with local sourcing long before it was trendy and now supporting only artisan, small, local or english businesses along the way. The Salty Monk has won numerous awards over the years but there is no denying that success lies in the consistent quality and attention to detail that they have shown over their 15 year tenure. Pretty great cook, world class eater, professional food related show off and last man standing on BBC2's The Great British Bake Off 2013. With years of experience of public speaking as an Assistant Principal and Head of Sixth Form Glenn has also honed his skills as a performer and comedian. His Edinburgh show, “Food Junkie” received five and four star reviews and was described as “the perfect blend of comedy and baking”. With particular interest in food, education and following your dreams Glenn is a passionate, enthusiastic speaker who can address any audience on a wide range of topics. Since appearing before millions on The Great British Bake Off Glenn has also presented on stage and at food festivals as well as frequent appearances on radio and as an interviewer on camera. Born in the Lake District moved to wales when I was 5, I started my chefing career when I was 16 in Wrexham north wales at a small village pub then moved on to a hotel where I did my apprenticeship, I've had a real passion for food and cooking ever since!! Moved to the southwest when I was 21 with the aim to be a head chef before I was 30 the first job I took in Devon was at the blind school in Exeter as a chef for 2 years then I spent 4 and half years at Woodbury park in the atrium restaurant as a junior sous where I really got to see what produce Devon had on offer for us chefs! 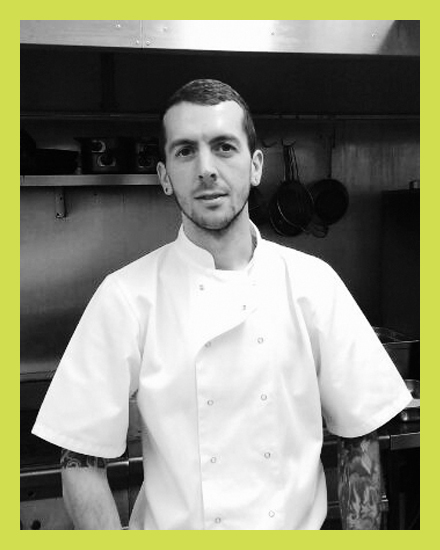 Moved on to the Redwing bar and dining in August 2012 as sous chef and was given the opportunity to be head chef 6 months later! Now in my third year at the redwing it's going from strength to strength! 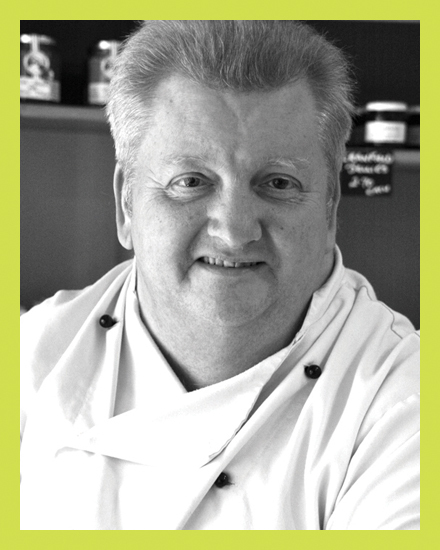 Our festival executive chef Willi Rehbock (as you’ve probably guessed) is of German origin, but has lived in England for over 20 years. 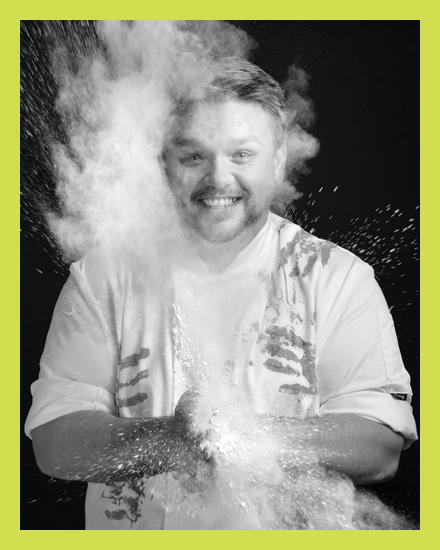 He has a City and Guilds Diploma in Professional Cookery, as well as teaching and food hygiene qualifications and has worked in 4 and 5 star hotels as executive Chef for many years before becoming a professional food Lecturer. 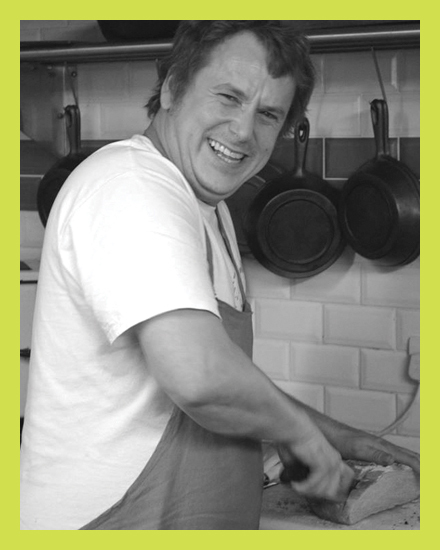 Willi is passionate about food and is not only an excellent cook, but an outstanding teacher. He was a cookery lecturer at Milton Keynes College and Exeter College, and until recently taught there both in Further and Adult Education classes. Now running Rosehill Rooms and Cookery full time. Pâtissier John McMillan opened McMillans Deli in Budleigh in 2013, offering a great range of local produce with their own range of chocolates hand made by them on site. Offering a wide range of foods to eat in or take-away, catering for special occasions with fabulous finger foods and party treats. 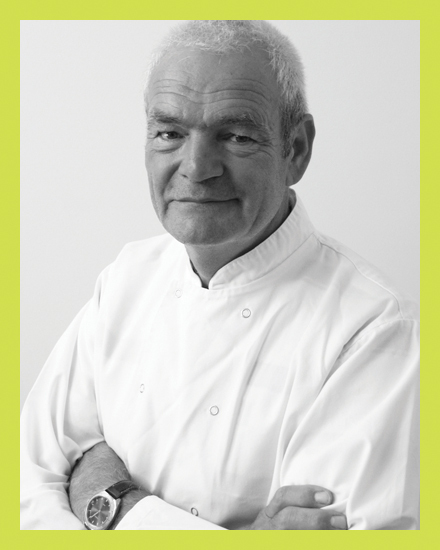 John previously worked as a pastry chef at the Dorchester Hotel with Anton Mosimann. "I’m lucky enough to spend most of my time eating, growing, writing and talking about food. At my smallholding, Otter Farm, I grow the most delicious food I can think of - kiwis, sweet cicely, Japanese wine berries, pecans, quince, almonds and Szechuan pepper among them. I have written four award winning books, including A Taste of the Unexpected (Food Book of the Year 2011). A Year at Otter Farm was published in June 2014. 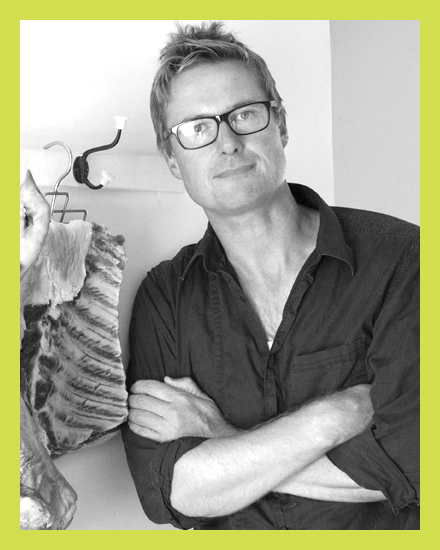 I used to be very idle, an environmental consultant, at River Cottage, though not necessarily in that order." He teaches on several courses at the Cookery School but specialises in Curing & Smoking. "For me smoking and curing are the beginning of cookery. It is steeped in tradition and I like that connection. It was originally born out of necessity but has developed in to a culinary art. It bridges the gap between science and sorcery and allows any keen amateur to create fantastic, authentic cured goods." 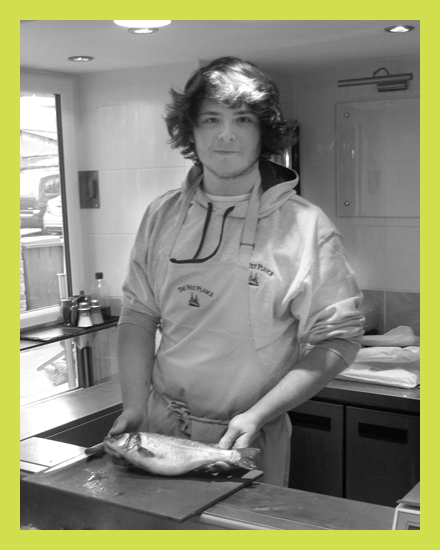 Liam has worked for the Wet Plaice & Devon Quality fish as a fish handler since leaving school. They now own 2 fish shops in Budleigh and Exmouth and a wholesale supply business based in Pound Lane, Exmouth.